The Saturday Morning All-You-Can-Eat-Cereal Cartoon Party! 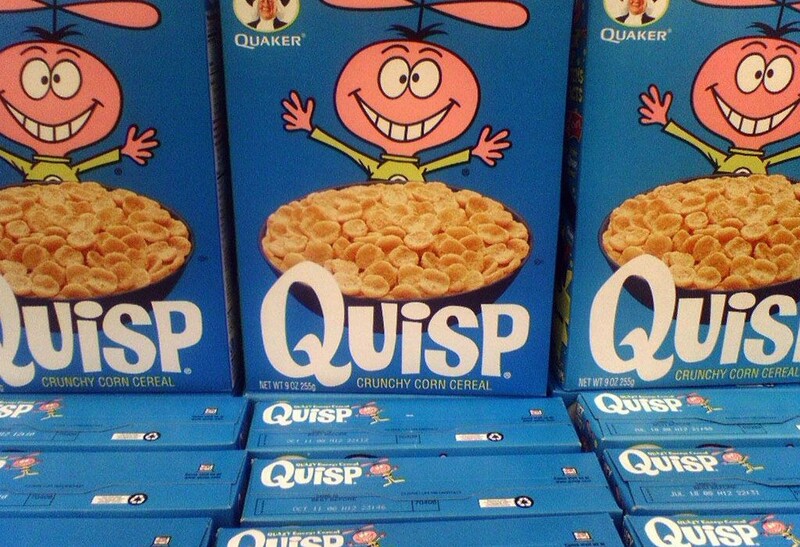 It’s the return of the Saturday Morning All-You-Can-Eat Cereal Cartoon Party! It’s that special time when kids and kids-at-heart get to relive the exciting Saturday Morning ritual of non-stop retro cartoons, and binge on the multi-colored sugary cereals that used to be a part of every “balanced” breakfast! As always, this 3-hour trip into the weird and wonderful world of yesteryear’s animated antics will be accompanied by an all-you-can eat buffet of cereal that is open throughout the show (and yes, there will be non-dairy options too!). The cartoon lineup is always a mystery, but in this all-new program you’ll see both faves and obscurities spanning the '60s through the '80s, all punctuated with vintage commercials, PSAs and station IDs! So get ready for a sugar rush and an explosion of nostalgia all wrapped up in one candy-coated package. Kier-La Janisse is a film writer and programmer, Editor-in-Chief of Spectacular Optical Publications, founder of The Miskatonic Institute of Horror Studies and the Festival Director of Monster Fest in Melbourne, Australia. She is the author of A Violent Professional: The Films of Luciano Rossi (FAB Press, 2007) and House of Psychotic Women: An Autobiographical Topography of Female Neurosis in Horror and Exploitation Films (FAB Press, 2012). She co-edited and published the anthology books KID POWER! (Spectacular Optical, 2014) and Satanic Panic: Pop-Cultural Paranoia in the 1980s (Spectacular Optical, 2015), and is currently co-editing the book Yuletide Terror: Christmas Horror on Film and Television (with Paul Corupe), writing the book A Song From the Heart Beats the Devil Every Time about children’s programming from 1965-1985 and a monograph about Monte Hellman’s Cockfighter. She also is in development on a narrative television series based on her book House of Psychotic Women with Rook Films.